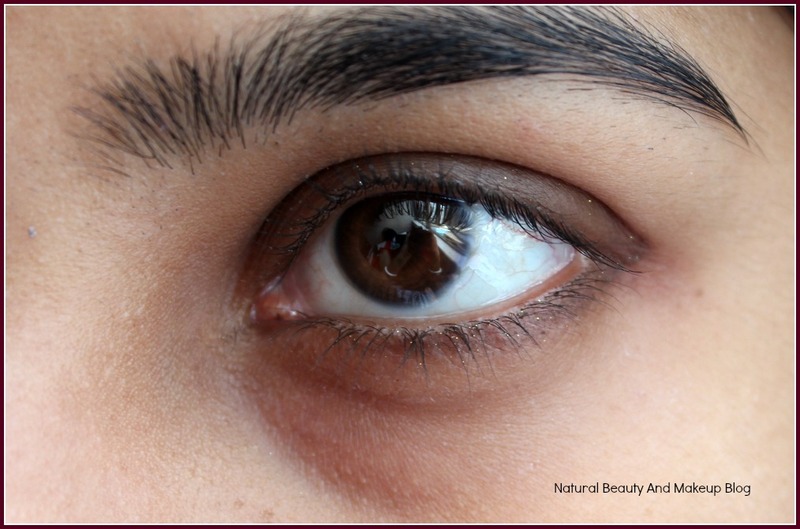 Dynamic eye pencil glides colour on that lasts all day. These creamy eye pencils easily apply powerful, vibrant colour that stays soft for blending and then dries to a long lasting finish that will not budge. This long lasting eye pencil includes a sharpener in the cap to apply no matter where you are. Initially, I was elated upon receiving this surprising product but after using this for a couple of times, I found it to be the worst!! Packaging wise, this is a simple wood sharpenable pencil that comes with a tight plastic cap. 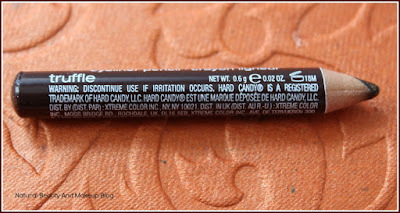 Though, the original pencil liner comes complete with a pencil sharpener on the cap for convenient sharpening. 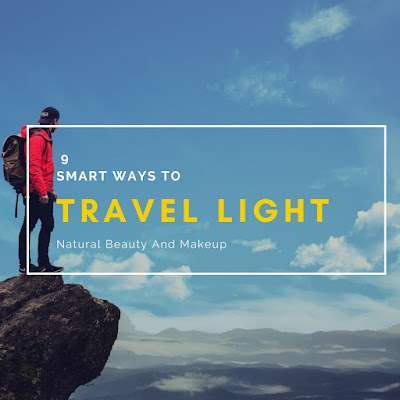 I didn’t travel with it, so can’t comment on how travel-friendly it is! 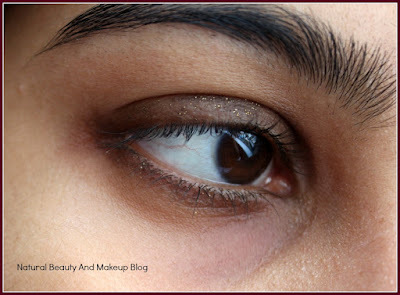 Coming to the texture of this liner, it has a creamy texture with gold sparkles and looks chocolate brown in colour. 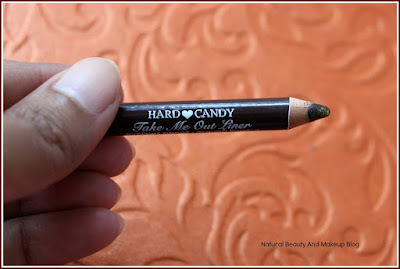 When I applied it on the back of my hands, it glided on smoothly showing up a good amount of pigmentation with proper golden glitters whereas, on my lids, it takes a great effort to apply or blend, leave alone deep pigmentation😒 It’s a hassle to draw a perfect line with this eye pencil but thankfully it didn’t irritate my eyes when applied along the waterline. At times, I tried to smudge it for smokey effect but to my dismay, the colour pay off is too poor to show up. You need to struggle literally to bring out the true pigmentation from this shade, it requires numerous strokes. Moreover, the glitters look patchy, uneven as they never spread uniformly😞 It doesn’t stay for long; the shade almost disappears after 2-3 hours of application without touching. Such a dud!! Look, glitters are accumulated at here & there ! 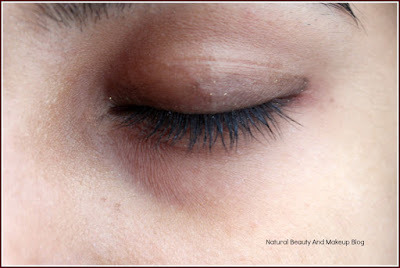 Is there anything on my eyelid?? Hygienic as it requires sharpening! Again waste of product because you need to sharpen it after every use. 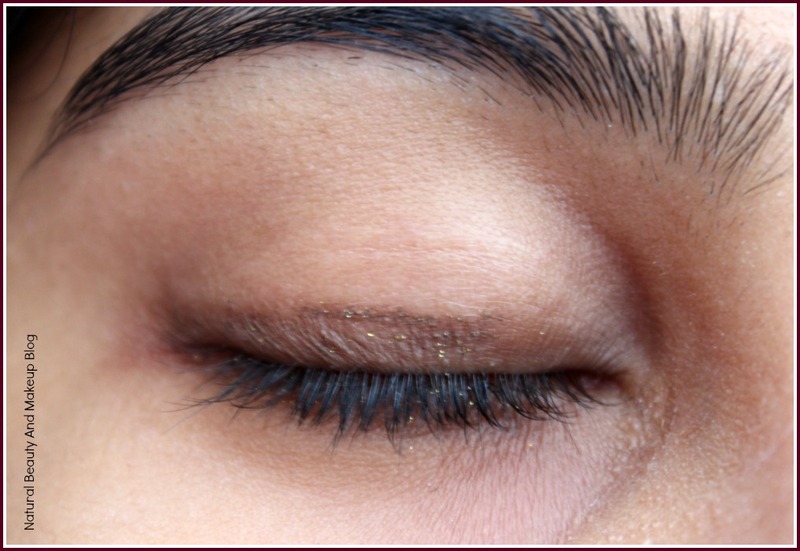 Be on dry or oily eyelids, this pencil eyeliner is hard to work with owing to its creamy finish and cheap quality. I agree this is so budget-friendly but at the same time, I would prefer at least nice pigmentation from any liners of this range. I wish it had no glitters, anyway I will not recommend this shade to anyone because at this price you can get some other good stuff easily!! 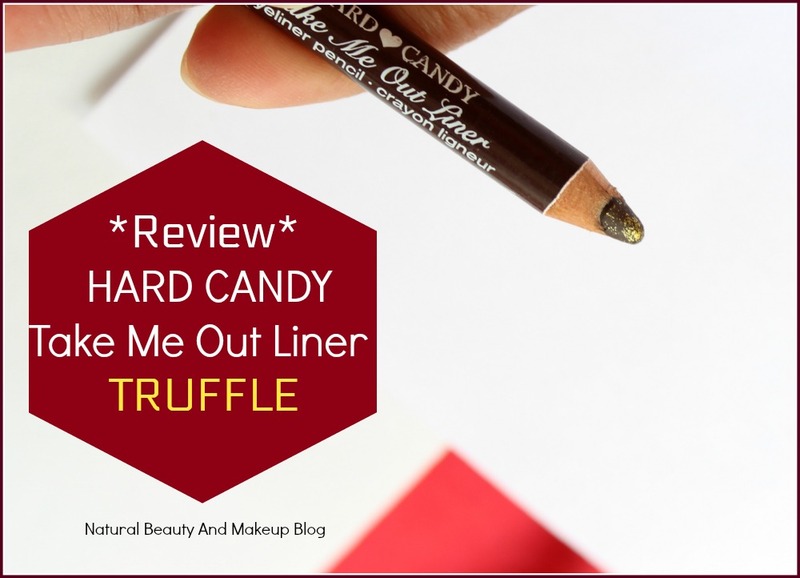 Have You Ever Tried Hard Candy Take Me Out Liner Truffle Shade? If Yes, Please Do Share Your Experience With Me In The Comment Section Below. Thanks for the honest review dear! Exactly Bhawna and that's the reason I was super excited upon receiving it, BUT!!! Too bad it didn't perform well. It looks pretty nice on your hand swatch! Exactly Lisa, seeing the swatch no one can guess the actual quality of this product!! Amazing review! :) well written. No wonder never heard of the brand. That's a bad one . Though looks good on u. Sad that it turned out to be useless for you. I'll refrain from buying if I come across this brand. Yep, do avoid this brand!! 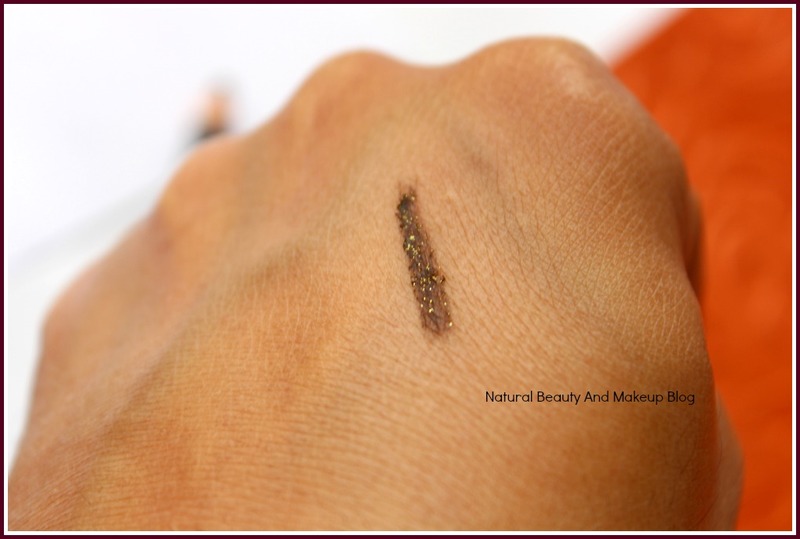 No idea how would be other beauty products :( I am dubious about their quality now! I love brown shade eyeliners, I have one from essence and it is my favourite. This one looks so beautiful on you. Sad that it did not perform that well. Though the product turned out to be a bad one but To be honest..I just loved it on you! Especially ..the soft color looks amazing!